This lecture is intended to complete a series of four on the Jesuit founders whose jubilees are being celebrated this year. At Fordham we have had in 2006 one lecture on St. Ignatius, one on Peter Faber, one on Francis Xavier and now, to complete the series, a lecture on the Ignatian charism today. The notion of the Ignatian charism requires some explanation. A charism is a gift of grace, conferred not for one’s personal sanctification but for the benefit of others. St. Paul has a famous list of charisms in the 12th chapter of the First Letter to the Corinthians. They include the gifts of prophecy, speech, miracle-working and the interpretation of tongues. If these are charisms bestowed on some members of the church, what charisms, if any, are given to St. Ignatius of Loyola? Who are the beneficiaries? Are these charisms still bestowed today? And if so, who are the recipients? In what follows I shall speak principally of the gifts that St. Ignatius possessed in an eminent way and that he expected to be applied and handed down with God’s help in the Society he founded. The life of St. Ignatius was remarkably focused. Beginning with his long convalescence at Loyola after being wounded at Pamplona in 1521, he was led by God through a series of stages culminating in the foundation and organization of the Society of Jesus. Although the Society, when first officially established in 1540, had only 10 members, including the inner circle of the three whose anniversaries we celebrate this year, all 10 recognized without a shadow of doubt that the true founder of the Society of Jesus, under God, was none other than Ignatius. He was endowed with an extraordinary gift—a charism, one may say—of leadership. His primary achievement was the founding of a new religious order in many ways quite unlike any order that had previously existed. It was an order of men vowed to live in the midst of the world with their eyes continually focused on God, on Jesus Christ and on the needs of the church. The first feature of the Jesuit in this description is to be a soldier of God. Anyone who enters the Society, says the Formula, must “first of all keep before his eyes God and then the nature of this Institute which he has embraced and which is, so to speak, a pathway to God.” According to his custom Ignatius here distinguishes between the means and the end. The end for which the Jesuit order exists is the greater glory of God. In the constitutions he composed for the Society, Ignatius repeats the formula “ad maiorem Dei gloriam” in the same or similar words 376 times. Because God is God, he deserves all the praise and service we can give him. The use of the comparative “greater” (maiorem) is significant. It signifies the desire to excel, to seek ever more (magis). What we have done and are presently doing is never enough. The life of the Jesuit according to the Institute is in the second place centered on Jesus Christ, who is, in the phrase of St. Ignatius, the way that leads to life. The Formula of the Institute specifies that the Society is to be designated by the name of Jesus. St. Ignatius never thought of himself as the head of the Jesuits. He wanted only to be a companion in the following of Jesus, the true head of the Society. St. Ignatius received a remarkable grace while praying at the chapel of La Storta, just outside Rome, in October 1537, together with Peter Faber and Diego Laínez. He was, as he declares, “very specially visited by the Lord,” whom he saw carrying his cross on his shoulder in the presence of his Father, who said to Ignatius, “I want you to serve us.” From that moment forth, St. Ignatius never doubted that the Father had placed him with the Son; he insisted adamantely that the new congregation ought to be called the Society of Jesus. Already in the meditation on the Two Standards in the Spiritual Exercises, written some years earlier, Ignatius had the retreatant ask for the grace to be received under the standard of Christ. And so in the Formula of the Institute he has those entering the Society express the desire to fight under the banner of the cross. This is a commitment to struggle ceaselessly against great odds and to fight bravely, not heeding the wounds, imitating the example of Christ who embraced the cross to accomplish our redemption. St. Ignatius’ allegiance is not to some abstract idea of the church, but to the church as it concretely exists on earth, with the Roman pontiff at its summit. The popes of St. Ignatius’ day may not have been the holiest and the wisest of men, but he looked upon them with the eyes of faith and saw in each of them the vicar of Christ for the teaching and government of the universal church. As early as 1534, when the original seven companions took their vows at Montmartre, they had the idea of placing themselves at the disposal of the pope, asking him to assign them to the missions he considered most pressing. After the papal approval of the Institute in 1540, Ignatius established himself at Rome, where he spent the rest of his life in order to be accessible to the pope. As yet I have stated the goal of the Society of Jesus in only the most general terms—the glory of God, the service of Christ and availability to the pope. Ignatius still had to specify what kind of service his order would be prepared to offer. This too is mentioned in the Formula of the Institute. In the sentence following the one I have quoted, St. Ignatius writes: Whoever wishes to enter should know that he is asking to be “a member of a Society founded chiefly for this purpose: to strive especially for the defense and propagation of the faith and for the progress of souls in Christian life and doctrine.” And then he mentions various means whereby these goals are to be achieved: “public preaching, other ministries of the word of God, spiritual exercises, education in Christianity, hearing confessions, and administering other sacraments.” And then in the next sentence the Formula speaks of certain works of charity: reconciling the estranged, ministering to persons in prisons and hospitals and similar services. A number of attempts have been made in recent years to gather up certain principles that shine through the writings of St. Ignatius and are envisaged as permanent features of the Society he founded. Any such list presupposes, of course, the common elements of all religious orders in the Catholic Church, including the faithful observance of the usual vows of religion: poverty, chastity and obedience. The following 10 features may serve as a summary of what is more specific to the spirit of St. Ignatius. 1. Dedication to the glory of God, the “ever greater God,” whom we can never praise and serve enough. This gives the Jesuit a kind of holy restlessness, a ceaseless effort to do better, to achieve the more or, in Latin, the magis. Ignatius may be said to have been a God-intoxicated man in the sense that he made “the greater glory of God” the supreme norm of every action, great or small. 2. Personal love for Jesus Christ and a desire to be counted among his close companions. Repeatedly in the Exercises Jesuits pray to know Christ more clearly, to love him more dearly and to follow him more nearly. Preaching in the towns of Italy, the first companions deliberately imitated the style of life of the disciples whom Jesus had sent forth to evangelize the towns of Galilee. 4. Availability. To be at the disposal of the church, available to labor in any place, for the sake of the greater and more universal good. Regarding the Society as the spiritual militia of the pope, St. Ignatius sees the whole world, so to speak, as his field of operations. Inspired by this cosmic vision, he admits no divisions based on national frontiers and ethnic ties. 7. Discernment. Ignatius was a master of the practical life and the art of decision-making. He distinguished carefully between ends and means, choosing the means best suited to achieve the end in view. In the use of means he consistently applied the principle: “tantum...quantum,” meaning “as much as helps,” but not more. In this connection he teaches the discipline of indifference in the sense of detachment from anything that is not to be sought for its own sake. 8. Adaptability. Ignatius always paid close attention to the times, places and persons with which he was dealing. He took care to frame general laws in such a way as to allow for flexibility in application. 9. Respect for human and natural capacities. Although Ignatius relied primarily on spiritual means, such as divine grace, prayer and sacramental ministry, he took account of natural abilities, learning, culture and manners as gifts to be used for the service and glory of God. For this reason he showed a keen interest in education. In view of my assignment to speak of the Ignatian charism today, I shall shift immediately to the 20th century and to the years since the Second Vatican Council. The popes, as the highest superiors of all Jesuits, have given us wise directives regarding the application of our Jesuit charism to the needs of the day. They have addressed each of the four general congregations held since 1965. On the theory that the charism of the Society is correlative with its mission, I shall particularly examine the injunctions of recent popes. In an address to the second session of the same congregation on Nov. 16, 1966, Paul VI raised questions about whether some Jesuits were accepting naturalistic norms for their apostolate and weakening in that traditional loyalty to the Holy See that had been so dear to St. Ignatius. In its “Decree on the Mission of the Society Today,” General Congregation 31 accepted the mandate to confront atheism and offered the Society completely to the church under the direction of the pope. In his address to the 32nd General Congregation on Dec. 3, 1974, Pope Paul VI referred to the “vocation and charism proper to Jesuits,” transmitted by an unbroken tradition, which includes conformity to the will of God and that of the church. In a valuable analysis, he reminded Jesuits of their fourfold vocation: to be religious, to be apostolic, to be priests and to be united with the bishop of Rome. He admonished them not to be seduced by the dazzling perspective of worldly humanism and the pursuit of novelty for its own sake. In subsequent correspondence he renewed his earlier warnings that the Society of Jesus should retain its religious and priestly character and avoid ways of action more appropriate to secular institutes and lay movements. The role of ordained Jesuits, he said, should be clearly distinct from the role of laity. In response, the 32nd General Congregation strongly reaffirmed the Society’s reverence and loyalty to the Holy See and to the magisterium of the church. It underlined the sacerdotal (or priestly) character of the Society, while recognizing the value of the contribution of lay coadjutors. John Paul II, in his allocution to General Congregation 34 on Jan. 5, 1995, spoke of the singular charism of fidelity to the successor of Peter, which marks out the Society of Jesus as being “totally and without reservation of the Church, in the Church, and for the Church.” The charism of the Society, he said, should make Jesuits witnesses to the primacy of God and his will, which points to the primacy of spirituality and prayer. He asked that Jesuits, seeking to follow the leadership of St. Francis Xavier in missionary evangelization, be in the forefront of the new evangelization, promoting a deep interior relationship with Jesus Christ, the first evangelizer. In their universities, His Holiness said, Jesuits should teach clear, solid, organic knowledge of Catholic doctrine. They should be very attentive not to confuse their students by questionable teachings, at variance with the church’s doctrine on faith and morals. Benedict XVI, in a speech of April 22, 2006, celebrating the current jubilee year, exhorted the Society to continue in its tradition of imparting solid training in philosophy and theology as a basis for dialogue with modern culture. The Society of Jesus, he said, enjoys an extraordinary legacy in the holiness of St. Ignatius, the missionary zeal of Francis Xavier and the apostolate of Peter Faber among leaders of the Reformation. In many of his addresses this pope has aligned himself with Paul VI and John Paul II by insisting that the primary and indispensable task of the priest is to be an expert in the spiritual life and a witness to the truth of revelation. The promotion of justice in society, he believes, is primarily a responsibility of the laity. The challenges of our day are certainly different from those of the 16th century; but they are, I believe, analogous, and for this reason, I would contend, the Society is well positioned to deal with them. Its charism is by no means outdated. The 16th century, like our own, was a time of rapid and radical cultural change. That time witnessed the rise of anthropocentric humanism, the birth of the secular state and the autonomy of the social and physical sciences. Jesuits who have studied their own tradition have stellar examples of scholars who equipped themselves to enter into these new fields and show the coherence between the new learning and the Catholic heritage of faith. We have only to think of the economic and legal philosophy of Luis de Molina (1535-1600) and Juan de Lugo (1583-1660), the astronomical achievements of Christopher Clavius (1537-1612), the atomic theories of Roger Boscovich (1711-87), and so many other great Jesuit thinkers of the past. They spoke incisively to the problems of their day, building bridges between faith and reason, between theology and science. In our day some Jesuits are venturing into questions concerning cosmic and human origins and into complex problems of biochemistry and genetic engineering, all of which are so vital for the future of faith and morals. The 16th century had early experiences of globalization. It was the great age of discovery. 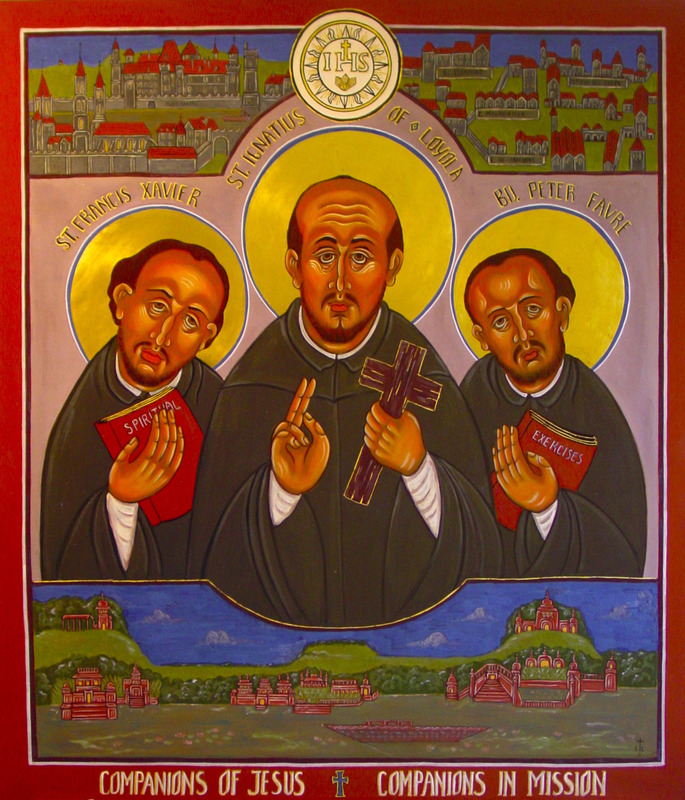 Jesuits, eager to evangelize the whole world, were leaders in the missionary apostolate to the Americas, to parts of Africa, to India and the Far East. They not only sent missionaries but also trained them to present the Gospel in a manner suited to the cultures of various peoples. Francis Xavier (1506-22) is the most famous, but he was by no means alone. Matteo Ricci (1552-1610) and Robert de Nobili (1577-1656) are only two of dozens of outstanding missionaries who preached the Gospel in an inculturated form, inspired by the principles of St. Ignatius. Proclamation in an accommodated style is not less needed today than in the past. The fields are white for the harvest, but the laborers are few. Who can better fill the urgent demand for priests to proclaim the Gospel and administer the sacraments in continents like Africa, where conversions to Christianity are so numerous and so rapid? Jesuits in the young churches, if they are well trained, can take up the task left to them by foreign missionaries. The age of Ignatius was no stranger to the clash of civilizations. The Muslim world and the Christian world were engaged in incessant warfare. Jews were being mistreated and persecuted in many countries. Jesuit missionaries encountered fierce opposition from religious leaders in practically every country they evangelized. In the course of time, they became leaders in interreligious dialogue. Missionaries learned to respect the good things in native cultures while sifting out the chaff. That is still a task of great urgency today. Jesuits have in their tradition rich resources for learning how and how not to deal with non-Christian religions. Bloody conflict and useless provocation must be avoided, while, on the other hand, Christians must frankly oppose elements in every religion and every culture that promote superstition or injustice. The 16th century saw the division of Western Christianity between the Protestant nations of northern Europe and the Catholic nations of the south. The Jesuits, few though they were in number, accomplished great things by their energy and heroism. Peter Faber (1506-46) did extraordinary work to stem the tide of heresy in Germany and the Low Countries. He inspired Peter Canisius (1521-97) and a host of others to go forward in his footsteps. One wonders what the Jesuits of those days would have done if they were alive today to see the defection of so many Latino Catholics from the church in the United States and in Central and South America. The need is evident; the principles are clear; but there are all too few talented candidates to take up the task. Centralization of the church was imperative in the days of St. Ignatius. He himself clearly perceived the need for the papacy as the headquarters of the universal church. He saw that Catholicism must be universal and that nationalism and ethnocentrism could have no place in it. He founded a Society made up of Spaniards, Portuguese, Frenchmen, Germans, Italians, Englishmen and many others who worked together in an undivided apostolate under the direction of a single general superior. One of the great blessings of the Society of Jesus, today as in the past, is its worldwide horizon. Jesuits are “friends in the Lord” undivided by distinctions of nationality, ethnic origin or social class. A great weakness of the church in the Europe of St. Ignatius’ day was ignorance of the faith. Many priests were barely literate, and the laity in some countries did not know the basic elements of the Creed. Rather than complain and denounce, Ignatius preferred to build. Popular education, he perceived, was on the rise. Taking advantage of the new desire for learning, Ignatius quickly set about founding schools, colleges and seminaries. The educational efforts of the Jesuits in the past count among their greatest services to the church. These educational institutions, I believe, are still among the major blessings that the Society of Jesus offers to the church and to the culture at large. Jesuits in the past have entered deeply into the intellectual apostolate. Many were leaders in practical sciences such as political theory. They can look back on a great tradition extending from Francisco Suárez in the 16th century to John Courtney Murray in the 20th. Nothing suggests that this type of research has lost its relevance. The church needs loyal and devoted scholars who will carry this type of reflection further, in view of new and developing situations. Here again the Society has much to contribute if sufficient numbers will hear the call. In the 16th century, the Society of Jesus was at the vanguard of the church in dealing with the problems posed by the Protestant Reformation, by the new science and by access to new continents that had been beyond the awareness of Europeans in the past. Today the church is confronted with mounting secularism, with new advances in technology, and growing globalization and an attending clash of cultures. If anyone should ask whether these developments render the Ignatian charisms obsolete, I would reply with an emphatic no. The Society can be abreast of the times if it adheres to its original purpose and ideals. The term “Jesuit” is often misunderstood. Not to mention enemies for whom Jesuit is a term of opprobrium, friends of the Society sometimes identify the term with independence of thought and corporate pride, both of which St. Ignatius deplored. Others reduce the Jesuit trademark to a matter of educational techniques, such as the personal care of students, concern for the whole person, rigor in thought and eloquence in expression. These qualities are estimable and have a basis in the teaching of St. Ignatius. But they omit any consideration of the fact that the Society of Jesus is an order of vowed religious in the Catholic Church. They are bound by special allegiance to the pope, the bishop of Rome. And above all, it needs to be mentioned that the Society of Jesus is primarily about a person: Jesus, the redeemer of the world. If the Society were to lose its special devotion to the Lord (which, I firmly trust, will never happen) it would indeed be obsolete. It would be like salt that had lost its savor. The greatest need of the Society of Jesus, I believe, is to be able to project a clearer vision of its purpose. Its members are engaged in such diverse activities that its unity is obscured. In this respect the recent popes have rendered great assistance. Paul VI helpfully reminded Jesuits that they are a religious order, not a secular institute; that they are a priestly order, not a lay association; that they are apostolic, not monastic; and that they are bound to obedience to the pope, not wholly self-directed. Pope John Paul II, in directing Jesuits to engage in the new evangelization, identified a focus that perfectly matches the founding idea of the Society. Ignatius was adamant in insisting that it be named for Jesus, its true head. The Spiritual Exercises are centered on the Gospels. Evangelization is exactly what the first Jesuits did as they conducted missions in the towns of Italy. They lived lives of evangelical poverty. Evangelization was the sum and substance of what St. Francis Xavier accomplished in his arduous missionary journeys. And evangelization is at the heart of all Jesuit apostolates in teaching, in research, in spirituality and in the social apostolate. Evangelization, moreover, is what the world most sorely needs today. The figure of Jesus Christ in the Gospels has not lost its attraction. Who should be better qualified to present that figure today than members of the Society that bears his name? The juxtaposition of the article on “Kofi Annan: Visionary and Victim,” by Barbara Crossette, and “What Distinguishes the Jesuits,” by Avery Dulles, S.J., on the Jesuit charism (1/15) recalls a Jesuit presence at the United Nations in its very early days. A French Jesuit, Emmanuel S. de Breuvery, joined the secretariat in the Department of Economic and Social Affairs in 1950 as senior economist. His expertise was in the use of resources, of water and energy, an expertise he drew on in working with developing countries. He spent much time advising directly in those countries but was also involved in overall U.N. planning and strategy. For example, he organized the U.N. Conference on New Sources of Energy in Rome in 1961 and an interregional seminar on techniques of petroleum development the following year. An Indian Jesuit, Jerome D’Souza, was a member of his country’s delegation to the General Assembly in the 1950’s. His presence on the delegation and assignment to the Social Committee was evidence of an openness in his newly independent country and in its diplomacy. At the time I was on the staff of the National Catholic Welfare Conference Office for United Nations Affairs, which was, incidentally, the first full-time nongovernmental organization office at the United Nations. Wonderful article. Please note that Francis Xavier died in 1552, not 1522. This article also appeared in print, under the headline "What Distinguishes the Jesuits?," in the January 15, 2007 issue. Cardinal Avery Dulles, S.J., is the Laurence J. McGinley Professor of Religion and Society at Fordham University, Bronx, N.Y. This text was delivered on Nov. 9, 2006.